In honor of the first week of fall, I thought it would be fun to team up with another blogger to do a fall themed collab! 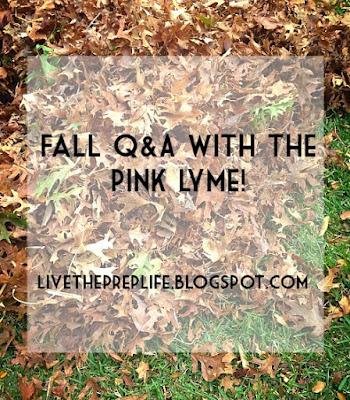 I met Brooke from The Pink Lyme during one of the #BloggerBlab Twitter chats (hosted by the lovely Cathleen and Nicole) and we decided to collab! She is seriously one of the funniest people I have ever met, and I was so excited to get to interview her. After reading her answers, make sure to head over to her blog and give her a follow! 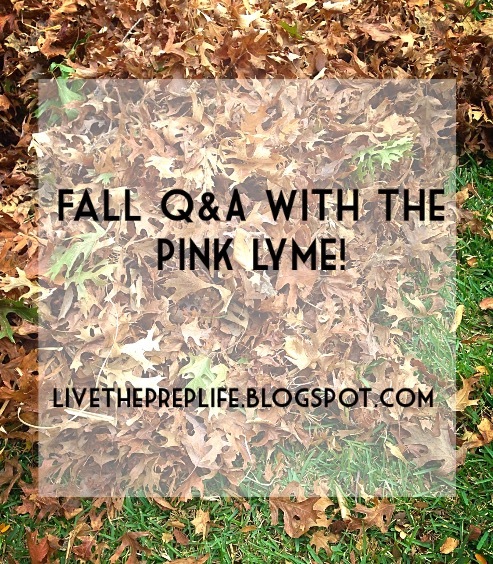 In honor of the first day of fall, we did a Fall Q&A, so I hope you enjoy! 1. What is your favorite fall fashion trend? I love quilted riding jackets with tan suede elbow patches! Honestly, anything "equestrian-style" (especially boots! *cue sassy hand flip*) are a total fashion-do, in my book! 2. What is your favorite fall flavored drink? 3. What is your favorite fall activity? Definitely going to the local orchards for the sunflower maze or any type of "haunted" event... the Haunted Graveyard at Lake Compounce, anyone!? 4. What is your favorite new fall TV show premiere? I'm excited to watch "Scream Queens". Not that I have time to watch much TV as a college student, buuuuuut...! 5. What is your favorite fall holiday? HALLOWEEN IS BAE <3. But considering eating is one of my favorite hobbies, Thanksgiving is pretty decent, too ;) ahaha! 6. What is your favorite fall color? I think bordeaux looks absolutely stunning in the fall months! Whether as nail polish, a cozy-knit scarf, or boot socks, you truly cannot go wrong. 7. What is your least favorite part about fall? 8. What is your favorite month in the fall? October, for sure. The leaves are all different colors, it becomes socially acceptable to buy absurd amounts of candy (it's for the trick-or-treaters, of course!!!! *guilty face*), and there's just a sense of…. magic in the air, you know?? 9. What is your favorite fall food? Butternut squash soup with a slice of roasted garlic bread fresh from the bakery. I die. 10. What is the one thing you are most excited for this season? I am -beyond- excited to take early morning walks on the weekends while sipping Salted Caramel Mochas and admire the beauty of the surrounding nature! I had so much fun working with my "older me" on this, and be sure to check out her blog! Like I said, she is so funny, and I'm sure you will love her and her posts just as much as I do! Be sure to also check out her post to see my answers to these questions. I can't tell you how long this week has felt. Honestly, I think I might go crazy if I had to spend another day at school. Thank goodness for the weekend - a lot of my friends and I are going to the lake and I can't wait. Unfortunately that means I won't be that active on social media - however, I promise y'all lots of pretty pictures when I get back! Also, while I have your attention - I'm changing my schedule. School and other activities have been so busy for me, so I will be cutting back to two posts a week. One will be on Tuesday, and the second will be on Friday and it will be the Friday Picks. As much as I would love to write three posts a week, it's just too hard to keep up and I really want to make sure my posts are the best quality they can be. As they always say, quality over quantity! You may also see a bonus post here or there on the weekends, but it will generally be the Tuesday-Friday schedule. If it's a slow week or a long weekend, you might be able to expect three posts, but I wouldn't count on it. (If it is Thanksgiving or Christmas break and I get the whole week off, there will be three posts for sure!) Thank y'all for being so patient and understanding, you're seriously the best! Something all bloggers should keep in mind. Small business owners click here! I redid my about page! Be sure to check it out here! YUM. I don't even know what to say except YUM. If you're thinking about transferring, Isabella's got you covered. Thanks for an amazing birthday! You'll never be bored in the fall again. Not a link - but who's seen the new Snapchat update? Add me at @livethepreplife! 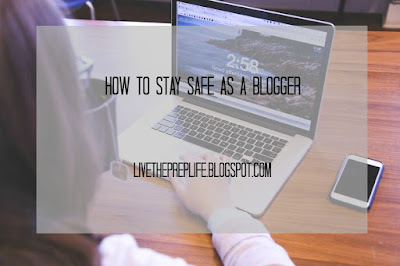 As a newbie blogger, I really appreciate this. Some inspiration to get you through the week, even though it's Friday. Thanks for reading! 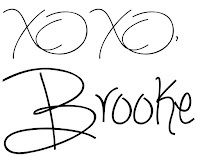 I have an exciting collab coming next week so be sure to follow me on Bloglovin if you haven't already! This way you won't ever miss out on future posts. I love blogging. I couldn't imagine my life without it and I honestly believe it has changed my life for the better. With that being said, let's face it. It's kind of scary. You're putting yourself out there for the whole world to see, and you don't know who's out there. As unfortunate as it is, there are some bad people out there and the last thing any blogger wants to do is to give her personal information to the wrong person. It's easy to be the most trusting person in the world. We've all been there or we will be eventually. Sometimes you just have to let common sense kick in and ask yourself if what you're doing is safe. However, other times it's not that easy and that's where these other tips come in. Without further ado, here are four tips on how to stay safe as a blogger! I'm really one to talk on this one since I don't actually have a P.O. box, however I've been thinking about getting one and I think it is a really smart idea! If you send or receive a lot of packages, or you participate in snail mail groups such as the Snail Mail Sisters or Blogger Buddies LINK LINK LINK, this is such a great idea because you aren't giving out your address. You do have to pay for this, but the alternative is compromising your safety so I really recommend doing this. This is a good rule for bloggers to follow just in general! As much as your readers may love you, we don't need to know every single little detail about yourself. If you share too much about yourself, it's almost too easy for someone to find out all of your personal information. You're basically putting a sign on your home page saying," Here is my address! Here is my phone number! Come attack me!" A good general rule to follow is if you wouldn't want your writing on the front page of a newspaper or website, don't publish it. I live by this when writing and I suggest you should too! This is another easy way for people to get your exact location, but there's an easy way to fix it. On your phone, before you take a blog or Instagram picture, turn your location services off. This way the picture can't be tracked and you can't either! If you use any third party editing apps (I live by Aviary) make sure you turn those off too in settings. You can always turn the apps back on when you're done, just make sure you repeat this process every time you take a picture. If you see an account or person on any platform that looks suspicious, report them IMMEDIATELY. Not only will the person behind the account get in serious trouble, you could save a lot of people from falling victim to the fake account. The general rule behind this post is to always use your head before posting and always think about what you do. If you have any more tips or ideas be sure to leave a comment so I can read them! Thank you, thank you, thank you for all of the sweet birthday messages! 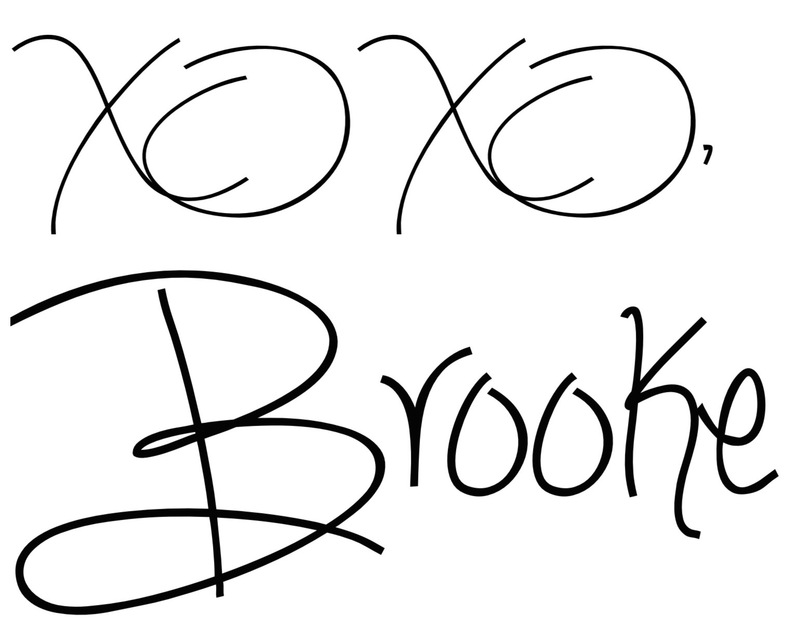 Y'all are seriously the best and you make blogging so much fun! I had an amazing birthday (for those of you who don't know, it was last week) and I thought I would share a couple snaps I took. I had school (way to ruin a birthday, am I right?) so aside from getting ice cream, we didn't go anywhere, but it was still really fun just getting to spend time with my family and eat cake! Big thanks especially to my family and friends for making my birthday amazing! I wore this to school except I wore white jeans instead of the shorts. I just changed when I got home because even in the rain it was still 90 degrees! The top is from the Lilly Pulitzer APS, and the shorts are from Delia's. Another snap from my Insta you may have seen... didn't Whole Foods do a great job? Thank y'all! If you ever get the chance to try their vanilla cake, I promise it's so amazing and it will leave you craving for more. This is honestly probably my favorite store bought cake in the world. Aren't these flowers just adorable? They totally matched my cake and were such a cute surprise! Thanks for all of the sweet gifts - if you're curious to see what's inside them click here! When my grandparents came up on the weekend my grandmother made this AMAZING chocolate peanut butter cake... one of my favorites! 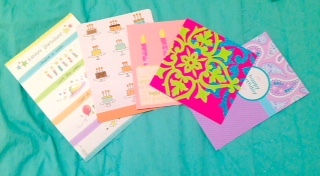 Some cute cards I got! Again, thanks a million for such a great birthday! Be sure to check back in on Wednesday for another post! Long time no see! Finally, finally, I got my act together and started using Google Calendar to schedule my posts. I was able to arrange my posts so now I can do Friday Picks again. Thank you for bearing with me as I try to figure this scheduling stuff now that school is here! I'm also glad to be able to do Friday Picks again - I really missed sharing the links I'm loving! Also - you'll notice that I am no longer featuring a brand, blogger, or Instagrammer. (side note - I apologize for being really bad about posting on Instagram this week - it's been hectic.) I wanted to just focus on the links, but let me know which way you like better. ALSO, I might be adding a linkup in the future so you can link up your posts from the week - but I need enough people. If you're interested, shoot me an email at livethepreplife@gmail.com! I'm kind of in love with this new t shirt company I found... go check them out before their shirts are gone! MOST ACCURATE POST EVER RIGHT HERE. I couldn't have said it better myself. Isabella looks so cute in her Labor Day outfit! I just wore what I wore for the 4th of July. Speaking of Labor Day, I picked up this during one of the many sales. Paulina has some great tips on how to find your style. The perfect fall bucket list. Isn't Olivia's new theme so cute? Thanks so much for reading! Be sure to send me an email if you are interested in the linkup! Before I begin, I just want to pretend that I was nominated a couple days ago and not a month ago! I totally did not forget... (okay maybe I did. Oops.) 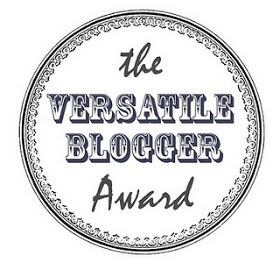 But regardless, I just want to give a huge thank you to the amazing Kimberly at Blogs For Days for nominating me! Go check her out, she is the sweetest! If you don't know what this award is, basically if you are nominated you just write seven facts about yourself and nominate 15 other bloggers for this award. So let's get started, shall we? 1. Although you don't see it in many posts (except this one), I have worn glasses since I was three. I'm not complaining though, I get to wear Kate Spade all day every day! 2. The day before my sixth birthday, I broke my thumb by slamming it in the car door. It hurt. A lot. 4. 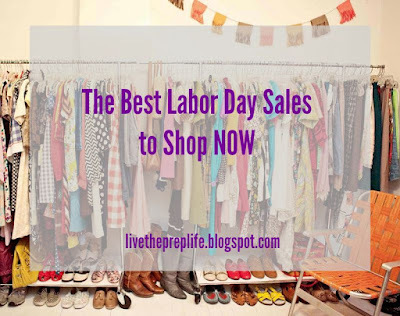 If you use my code livethepreplife at Paisley Grace, you get 10% off of your order! She is seriously the sweetest and her shirts are so cute! 5. This year will be my second year playing the clarinet with my school's band. 7. One of my life goals is to hike to the highest point in all 50 states. Some of them aren't that reasonable - I think Hawaii's highest point is an active volcano, so you can bet I won't be doing that one anytime soon, but some like Texas are completely reasonable and you bet I'll do those! I've always been in a very healthy mindset, and I'm not really one to go eat buttered popcorn or a hamburger - simply because I don't like the taste and I know that it's not good for you. After school, especially, I like my snacks to be light and filling, while still packed with protein for my sports later in the evening, and of course, they have to taste good! 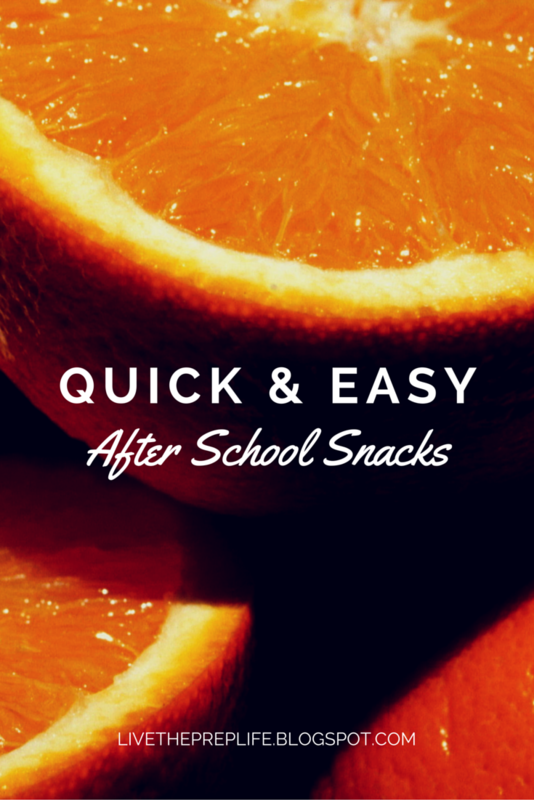 Keep reading to see my top 5 after school snack picks. This is a very healthy alternative to buttered popcorn and a soda. I like the Whole Foods reduced fat popcorn paired with a coconut pineapple ice drink. If you haven't tried them, ice drinks are the best thing EVER. Zero calories, fat, or sugars and the pineapple coconut tastes just like pina coladas! They are perfect for me since I like the carbonation of sodas but I actually hate pretty much every soda. Who says toast is just for breakfast?! I put PB2 on top of mine and add a sliced banana on top of mine (since peanut butter + banana = best thing ever) or I spread avocado on mine and add tomatoes or bell peppers. This snack gives you a lot of options and you can add whatever you like! Veggies and hummus is a great swich for chips and dip. I love dipping carrots and celery in Sabra hummus or Whole Foods Hummus and I will often add some pita chips too. YAY.., a bonus! Whenever I get tired of these snacks, I like to go to one of my monthly subscription boxes. So far, I've tried NatureBox, Graze, and Love With Food. All of them are amazing! Basically, each month, the company will send you a box filled with a few snacks to try. It's a great way to expand your horizons and get food without leaving your couch! Psst... you get 40% off your first Love With Food and a FREE first Graze and Nature Box. You're welcome! And finally, a huge thank you from the bottom of my heart to the wonderful, wonderful hosts of this linkup: Nicole and Cathleen! This linkup has been absolutely amazing and I'm so sad it had to end! 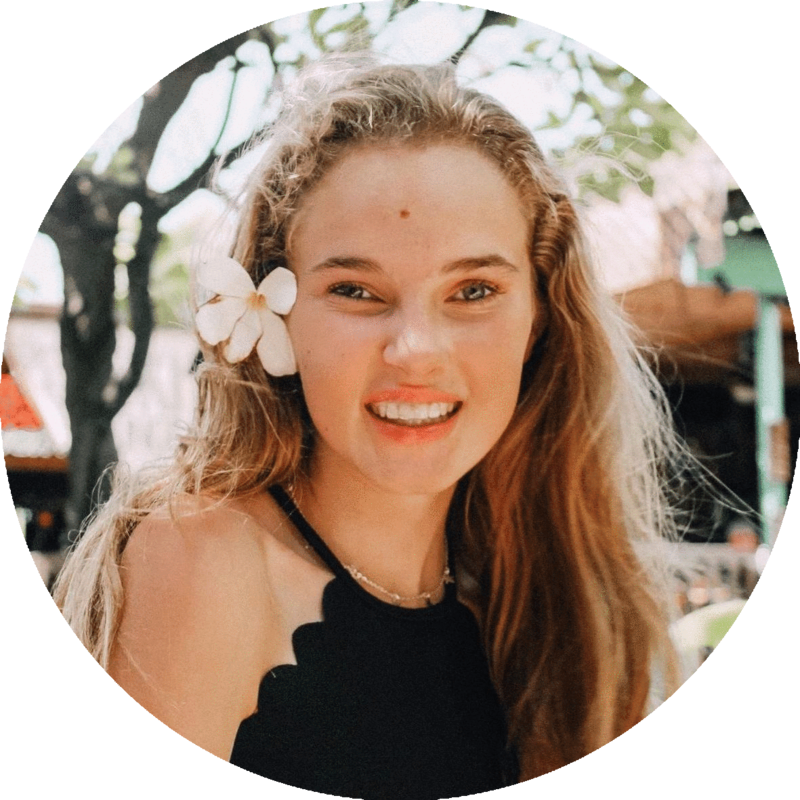 Thank you so much for doing this - I had so much fun writing these posts, meeting so many new people, and of course, the weekly #bloggerblab! Y'all are seriously the best. I am always on the lookout for new snacks to try so leave me a comment telling me what you like to eat after school! Thanks for reading and let me know if you try any of these!